It’s almost as if people were going around with signs on their backs that say “Lie to me, baby!” Only, the people put the signs on their shirts and blouses themselves. For whatever ill-thought, malicious reason, somebody invented an absolutely unbelievable hoax that President Obama asked the Pentagon to have military people swear allegiance to him, instead of the nation. Jumping in Pools posted it. Jumping in Pools also listed it as satire, in tags. But the hoax sucked in the gullible all over the web. Let me repeat: It’s a hoax. It’s a nasty hoax. It’s a stupid hoax. It’s a malicious hoax. But it’s still a hoax. NOTE: This article is, in fact, a satire piece. While you’re here, read other articles, like Obama going on the quarter, how he’s genetically superior, and how he took down Blago. And you can also check out Joe’s Babe of the Week, which comes out every Friday. And become a fan and return and tell your friends. Word up. A Google search produces references to the hoax claims all across the internet — most failing to appreciate that the claim is a hoax. Snopes.com has it right — but who bothers to check the facts? Americans can be sore losers, and Americans can be awfully stupid. If you wonder why it is that good sense prevails in public affairs so seldom, it is because Americans too often fight against good sense, sometimes even when they know better. 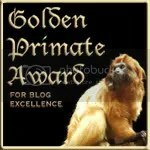 Creationists make wild and clearly erroneous claims? No problem! Some hundreds of preachers will still use the falsehoods in sermons and church newsletter editorials. Worse, some people with More Power Than They Ought To Have will decide to mess up science curricula on the issue. Badly informed parents read the research backwards, and claim that vaccines hurt children, and thousands flock to their websites, stop vaccinating their kids, even when the kids get sick and die. People will make bad financial decisions. Generally we hope to educate people out of these problems, over time. Doesn’t this make you question anything you read on the blogs on this list? DDT advocates argue that DDT is harmless to humans. Generally they base the claim on DDT’s low carcinogenicity in humans — it’s suspected of being a weak human carcinogen. Frequently DDT advocates will point to the late Dr. Gordon Edwards’ grandstand sipping of a teaspoon of prepared DDT before lectures on the stuff. Hard reality: It’s a poison. Comes this report from the Times of India: A despondent woman tried suicide by DDT. DDT is indeed a poison for humans. The woman is in serious condition in a hospital. AMRELI: The spate of suicides in the diamond industry continued as the wife of a diamond worker attempted suicide on Wednesday in Mini Kasbavad area of the city. Ruksana Pathan, 33, is battling for life at the government hospital here. According to officials of Amreli police, Ruksana tried to end her life by consuming DDT powder when her husband and four children were away. She was rushed to the hospital here, where her condition is slated to be serious. “Ruksana was depressed ever since her husband Taufiq Pathan, a diamond worker, was rendered unemployed after closure of diamond units,” said a police official. “As the family’s financial situation worsened, Ruksana attempted to kill herself,” the official said. Kids, don’t try the Gordon Edwards stunt. DDT is poisonous, as the skull and crossbones on the old label would indicate. Check it out — there be good stuff. For example, abundant sources of information and especially images on the history of New York City can be found here. It’s in directory form, so you may need to click once more to get what you need — but so far, everything I’ve clicked works, and it always seems to go to a good site. New York state resources, here. The U.S. history portion is not working yet. Oops, missed this anniversary date! 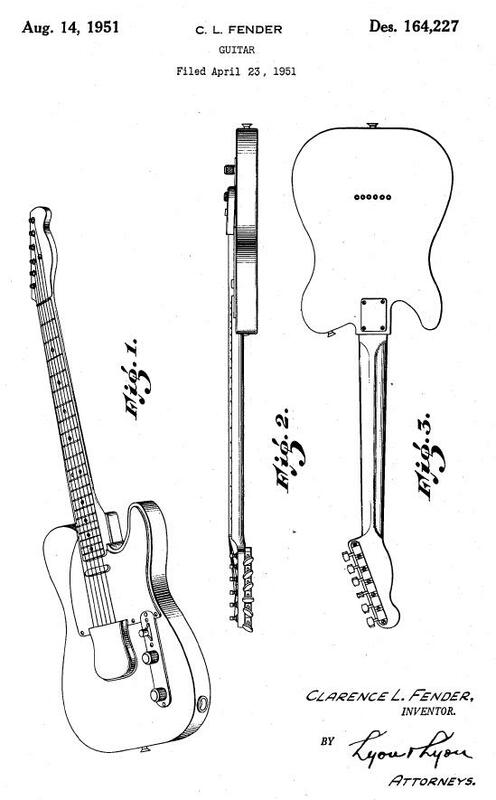 Thomas Alva Edison got a patent for “electric-lamp” on January 27, 1880. (Information excerpted from American Originals by Stacey Bredhoff; [Seattle and London; The University of Washington Press, 2001] p. 62–63. Our Documents grew out of the National Archives list of 100 milestone documents important to American history — Edison’s patent application was voted one of the top 100. Our Documents is now a joint exercise combining the efforts of the National Archives, National History Day, and USA Freedom Corps. It’s either a sign of how old wounds have healed, or it’s another step in the cryptic and slow, cold war in which the South works to overcome the victory of the Union in the Civil War. Associated Press reports (via Federal News Radio) the papers of President Ulysses S Grant will move from the University of Southern Illinois at Carbondale, to Mississippi State University, in Starkville, Mississippi. The fact that a collection about a Union hero who helped topple the Confederacy has wound up in Dixie is not lost on [John Marszalek, a Civil War scholar and Mississippi State history professor emeritus who’s now shepherding the collection]. Still, Grant’s return to the South doesn’t thrill Cecil Fayard Jr., the Mississippi-based leader of the Sons of Confederate Veterans. “U.S. Grant is not beloved in the state of Mississippi. Southern folks remember well his brutal and bloody tactics of war, and the South will never forget the siege of Vicksburg,” he said. 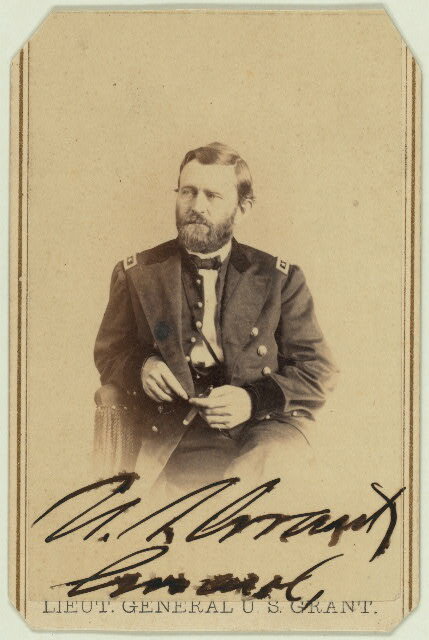 The Ulysses S. Grant Association, which owns the papers, decided to move them at the request of Marzsalek, who was named conservator after the death of John Y. Simon, the historian who had curated the collection during the publication of more than 30 volumes of Grants papers, beginning in 1962. Simon lost his professorship at SIU last year, and died in July 2008. The modern concept of a presidential library did not exist until 1939. The first such library was the Franklin D. Roosevelt Library in Hyde Par, New York, established with papers donated in 1939. There are now official libraries, parts of the U.S. National Archives system, for Herbert Hoover (who preceded FDR) in West Branch, Iowa, Harry Truman, in Independence, Missouri, Dwight Eisenhower, in Abilene, Kansas, John Kennedy, at Harvard University near Boston, Lyndon Johnson at the University of Texas, Austin, Richard Nixon at Yorba Linda, California, Gerald Ford library at Ann Arbor and museum (still under construction) in Grand Rapids, Michigan, Jimmy Carter in Atlanta, Ronald Reagan at Simi Valley, California, George H. W. Bush at Texas A&M University, College Station, Texas, and Bill Clinton in Little Rock. George W. Bush is working to establish a library and institute at Southern Methodist University in Dallas, the library an extension of the National Archives, and the institute modeled roughly after the Herbert Hoover Institution affiliated with Stanford University in Palo Alto, California. George Washington and Abraham Lincoln are honored with institutions, too. Washington’s home at Mount Vernon, Virginia, is held by the Ladies of Mount Vernon Association, which originally saved the mansion; the Abraham Lincoln Presidential Library and Museum is in Springfield, Illinois. Neither of those institutions has much formal tie to the federal library system. Because of their places in history, even at the risk of enlarging the institutionalness and management problems of these libraries, I would like to see libraries established for Theodore Roosevelt, perhaps in South Dakota; for Woodrow Wilson; For Andrew Jackson, probably near his home in Tennessee; and for John Adams and/or John Quincy Adams, outside of Boston. These institutions could bolster the spread of knowledge and preservation of history of our freedoms and liberties; if we were rich, it would be useful and productive to put libraries in Ohio — for William Howard Taft, or for Taft and Garfield and Buchanan — and far upstate New York for Millard Fillmore, perhaps at the University of Buffalo. Libraries honoring James Madison and James Monroe could be useful, too, but would put a great concentration of such institutions close to Charlottesville, Virginia. Chronicle of Higher Education story on the split between SIU and the Ulysses S Grant Association, from September 8, 2008 (see especially comments to the article, from people who knew and loved John Y. Simon). Under the fold: Quotations from U. S. Grant, from the Grant papers collection. 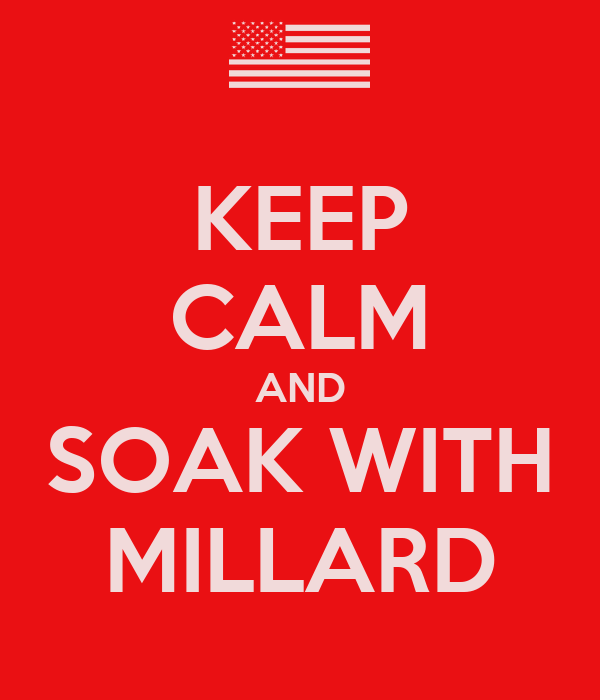 You are currently browsing the Millard Fillmore's Bathtub blog archives for January, 2009.